Many Emmaljungas have been rescued in all kinds of condition. 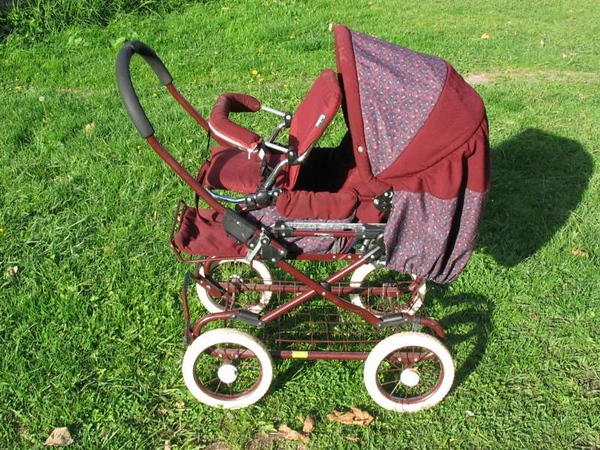 Some of the rarer ones have cost a reasonable amount of money, even though the prams were quite stained and neglected. Like cars, prams can be released in limited editions from time to time with Emmaljunga being one of a handful of manufacturers to offer limited release models. It's a real shame to sometimes see these limited release, expensive prams end up thrashed and abused like a typical everyday budget pram. A considerable amount of time has gone into cleaning some of the prams enough to at least photograph and index the history of the models. I've been able to add some very nice Emmaljungas to my personal collection at reasonable costs purely because of cosmetic stains and marks. Nothing that a little TLC wont fix! Some were overloaded or abused to the point where they are no longer safe, but if its anything unusual or limited, I've tried to at least get a record of the series. Many prams never leave my collection, yet some are passed on to new homes. Safety is paramount with all prams and anything too far gone or questionable is (unfortunately) disposed of, but usually minus some of the useful pieces like hoods, shopping trays, wheels and other simply removed items.